Sometimes I like to step away from my wine and dip my toes – metaphorically speaking – into other libations. In my twenties, margaritas were my drink of choice (though I did go through many bottles of the low-end sparkling wines – Cooks, Freixenet, etcetera). 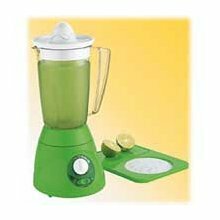 Most of my friends had blenders then just to make those frosty, slurpee-like margaritas. Now? Those blenders are used to make meal-replacement shakes. Sigh. Okay, where was I? This past fall, Tom decided to do something different and, after rummaging around in his memory, came up with this drink from our past. Thanks to Tom Ashworth for the photo! haven’t looked at in a decade or so. (Plus it’s above our cereal. Doesn’t everyone keep their hard booze near the kid cereal?!) Most of what he needed, we already had. So he made the drink, and it wasn’t bad. Then he bought slightly better rum, and the drink was suddenly MUCH better. Here’s the recipe – 1 shot rum, 1 shot brandy, slightly less than one shot Triple Sec, and slightly less than 1 shot fresh lemon juice (jarred lemon juice will work in a pinch). Fill a cocktail shaker with ice – pour in the alcohol and lemon juice, and shake. Strain into martini glasses (or shallow champagne glasses if you don’t have martini glasses). Makes 2 servings. This is a nice, not-too-sweet before dinner drink – a special occasion drink – a fun, different, and hard to screw up drink. Even an after-theater drink – we had it last night, after getting home late from a preview of A NOISE WITHIN’s production of Moliere’s The Bungler (in their new theater in Pasadena, California – wonderful space!). Anyway – last night we sipped, we split a plate of nachos, and we talked about theater. While wine would have worked, the slightly sour, slightly sweet Between The Sheets hit the spot and went great with the nachos. Do you have a favorite specialty mixed drink? Please share – and the recipe, if you know it! Thanks so much for stopping by! Wine bottles are threatening to take over my kitchen counter and my desk, so I promise I’ll toss up a wine blog again SOON. This entry was posted in Uncategorized, Wine Friday and tagged A Noise Within, Between the Sheets, Demon Hunt, demon soul, Moliere, Pasadena, The Bungler, Tom Ashworth, Wine. Bookmark the permalink. In my defense, the cereal is above the stove., and the stove is about eye level (or maybe a little higher). The liquor above the cereal. So, in order to get to the hard liquor, I have to use a step-stool, lol…it was the safest place when the boys were young. Now that they’re both over 6 ft tall, it doesn’t matter! Great drink! I love classic cocktails. My favorite is a Mai Tai, but the original Trader Vic recipe, not one of those red or pink concoctions you usually get when you order one now. (Yes, I’m a cocktail snob!) 1 oz each Martinique and dark Jamaican rum, juice of one lime, 1/2 oz orange curacao, 1/4 oz each orgeat syrup and simple syrup. Serve over crushed ice and garnish with mint. Ooh, Jennifer! An original Mai Tai…I’m thinking maybe next weekend! Um…what’s orgeat syrup? Hi Chrsitine – It has been ages since I’ve had a mixed drink. This one sounds good, but something tells me I might need a nap after having it – so Between the Sheets is a good name for that drink! Congratulations on all the good things going on in your life. There is always something to celebrate! Got the laundry done – yay! I had a ginger cosmopolitan at a restaurant, and was suprized that I liked it very much (being of the margarita persuasion – silver tequila, only please, on the rocks, no salt). I don’t branch out much, but harbor a taste for Kamkazi’s. I’m a vodka martini girl. Shaken, extra dry (meaning no vermouth).